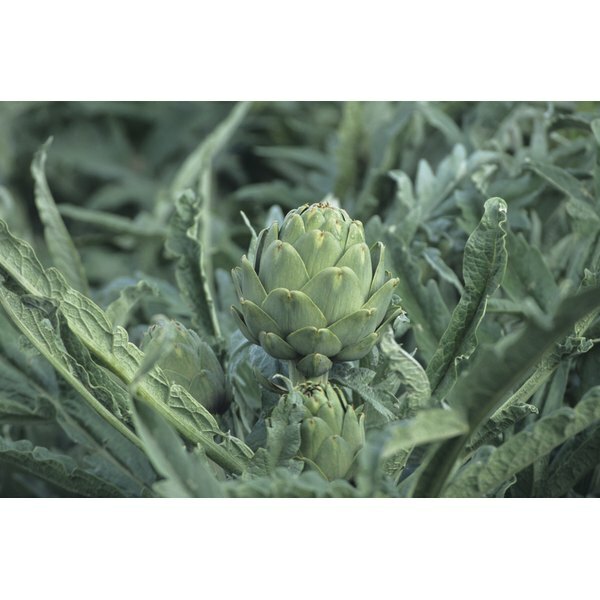 Globe artichokes are perennial plants related to the thistle. They are native to Europe and the Mediterranean. An extract from their leaves is available in the form of a nutritional supplement, which is believed to have a number of medicinal benefits.Consult your physician if you are considering taking an artichoke leaf extract supplement. According to Science Daily, Dr. Rafe Bundy and his team of researchers at the University of Reading in the United Kingdom, have discovered that artichoke leaf extract can help to lower cholesterol levels in patients with slightly elevated cholesterol that were otherwise healthy. The extract is rich in flavonoids, which can help to prevent cardiovascular disease. Irritable bowel syndrome is a chronic digestive disorder, which can cause stomach pain, constipation, bloating, gas, loss of appetite, emotional distress and depression. In August 2004 The Journal of Alternative and Complementary Medicine published a study claiming that artichoke leaf extract can improve symptoms of irritable bowel syndrome. According to The University of Michigan Health System, artichoke leaf extract can reduce the symptoms of mild indigestion after eating. It works by stimulating the production of bile, which, in turn decreases the transit time of food in the digestive system, thus reducing bloating and gas. The liver is one of the most complex of the body’s organs and is crucial in maintaining a healthy immune system. When toxins build up in the liver it is unable to function adequately. According to Natural Detox, signs that the liver needs cleansing include headaches, fatigue, dizziness, premenstrual syndrome, skin irritation, dry mouth and sluggish digestion. The bile production, stimulated by the artichoke leaf extract, benefits the liver by helping it to eliminate toxins.